Like this tour? Share it with your friends! Today you will board a plane bound for China, where you will witness the vicissitudes of China’s five thousand-year history. 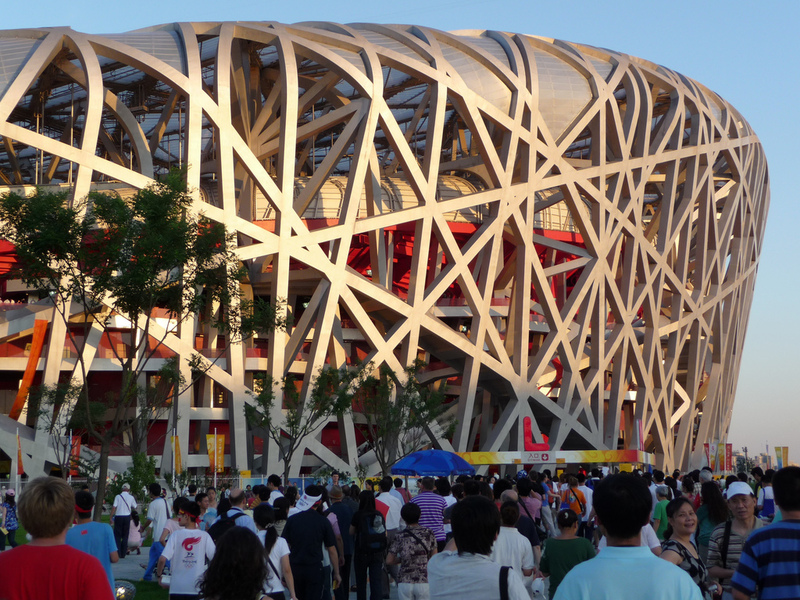 Your tour will begin with the dynamic capital city of Beijing, a city that encompasses the vast range of China’s cultural styles. Today, after arriving in Beijing, you will be greeted at the airport by CIT’s professional bilingual tour guide and escorted to the hotel where you will be staying overnight. After breakfast, you will visit Tiananmen Square. 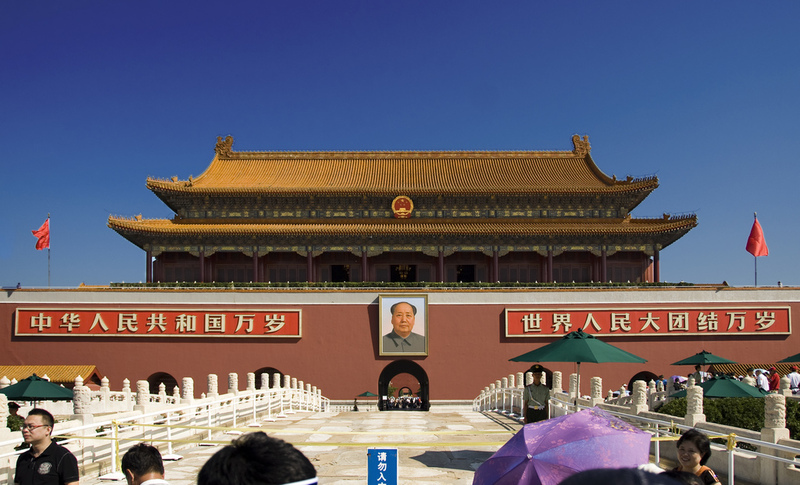 Originally the front entrance of the imperial palace during the Ming and Qing Dynasties, Tiananmen (“the Gate of Heavenly Peace”) was built in the fifteenth year of the reign of Emperor Yongle. When it was renovated during the Qing Dynasty, its name was changed to Tiananmen to suggest the idea that the emperor’s mandate to pacify and rule the nation came from heaven. You will make a special trip to see the National Centre for the Performing Arts, whose exterior looks like an enormous eggshell, earning it the nickname “The Egg.” Next, you will tour the Forbidden City, which served as the royal palace for 24 consecutive emperors during the Ming and Qing Dynasties. There you can explore art exhibits from every dynasty, exhibitions of Qing Dynasty cultural relics, the Three Great Halls, the Imperial Garden, the Palace of Heavenly Purity, and other attractions. In the afternoon an expert guide will take you on a pedicab tour of Beijing’s hutong, or “narrow alleyways,” where you can take pictures that will make you feel like you’ve traveled back in time, and afterward you will stroll along the shore of Shicha Hai, a picturesque man-made lake. After dinner you will enjoy a theatrical kung fu show. 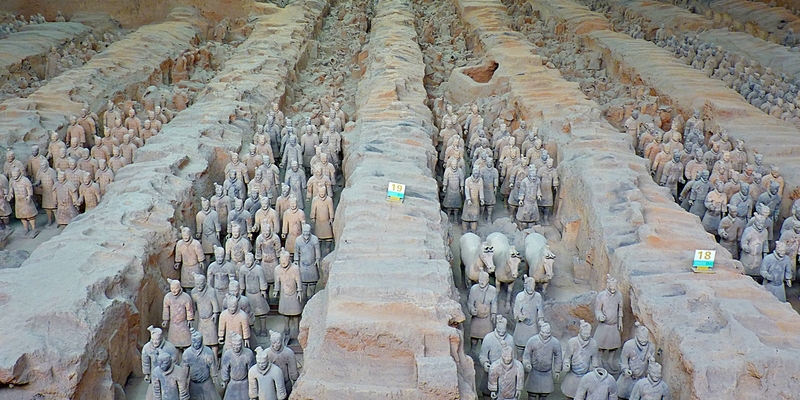 If you haven’t seen the First Emperor’s terracotta army, known as the Eighth Wonder of the World, you haven’t really been to Xi’an. The pit where the terracotta army is still in the process of being excavated is an ancillary section of the tomb of the infamous First Emperor, Qín Shǐhuáng. Your next stop is Huaqing Hot Springs, which since ancient times has been famed for the high quality of both its hot springs and its beautiful scenery, but even more for its description in the famous poem “Song of Eternal Sorrow” by Bái Jūyì: “Allowed to bathe at Huaqing on a cold spring day, she washed her creamy skin with the warm, silky water; languid and tired, she was helped out of the water by a maid, and the Emperor’s love for her was renewed.” Because of this poem, the story of the tragic love affair that occurred here between Yáng Guìfēi and Emperor Xuánzōng of the Tang Dynasty has been passed down through the ages. After dinner, you will have a chance to admire modern musicians and dancers as they present an opulently staged show, re-created from historical materials, in imitation of Tang Dynasty performances. Today you will say goodbye to Xi’an and travel to a city with “mountain and water” scenery that ranks among the finest in the world: Guilin, whose verdant hills, picturesque rivers, and unusual landscapes make it deserving of its fame. Reed Flute Cave, the first stop on your Guilin itinerary, boasts some of Guilin’s most iconic scenery and enjoys a reputation as “nature’s architectural wonder”; it contains rock formations of every shape and color, including stone pillars, stone curtains, stone flowers, and all kinds of strange things. Seen under bright lights of every color, they dazzle the eyes like a dream or a hallucination. Another famous sight, Elephant Trunk Hill, looks like an enormous elephant with its trunk dangling in the water as if it were about to drink from the river. For dinner we will arrange for you to enjoy a meal of Guilin-style rice-flour noodles, which are even more famous than Guilin’s scenery. So long they seem to never end, rice-flour noodles of the finest quality are soft and silky as well as tasty; with some peanuts or pickled cabbage on top, they’re even more delicious, and they will give you a tremendous appetite. 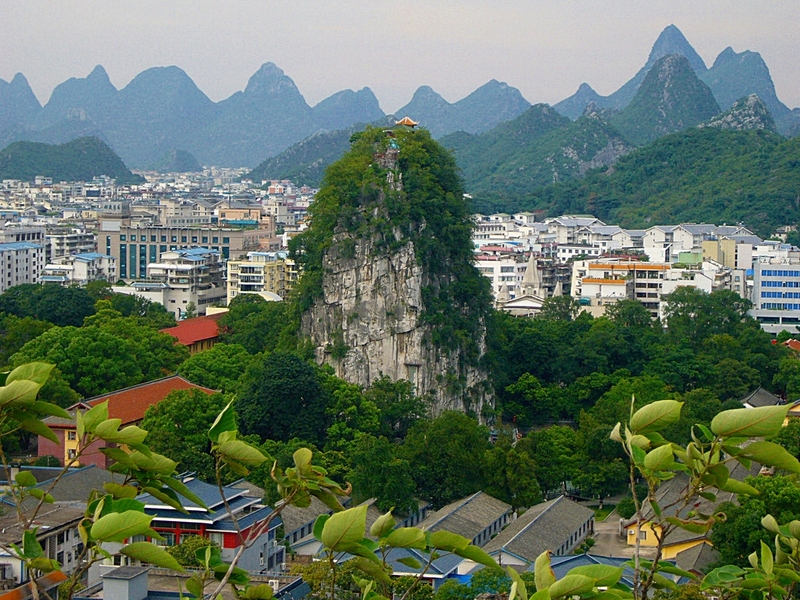 Thanks to the beauty of the Li River, Yangshuo’s scenery may be even better than Guilin’s. The most picturesque part of the Li River is universally acknowledged to be the stretch located between Guilin and Yangshuo. Today at dawn, in the clear and crisp morning air, you will board a ship to tour the river, which will make you feel as if you’re in nature’s art gallery, with one beautiful painting after another slowly unfolding before your eyes. At noon you will enjoy a meal as you continue to admire the scenery, basking in the boundless pleasure of the journey. 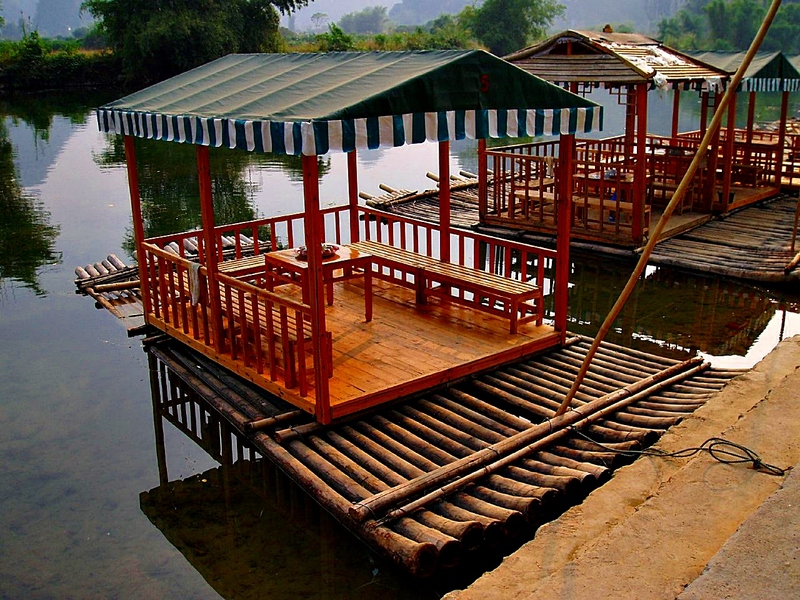 After arriving in Yangshuo, you can have a little something to drink and do some people watching: in the afternoon, we have arranged a bamboo raft trip along Yangshuo’s tranquil Yulong River. In the evening you can also enjoy Yangshuo’s lively night market. Chinese and Western cafes and restaurants line the street like trees in a forest, and the souvenirs every-where are a feast for the eyes. After breakfast, you will depart Yangshuo and return to Guilin Airport, from which you will fly to Shanghai, the largest city in China. After your arrival, you will tour the architectural complex of the Bund, which lies along the Huangpu River in the downtown area. The Bank of China tower, Peace Hotel, Customs House tower, and other famous buildings built by Western nations during the colonial era are all located along the Bund, where the historical elegance of the “Wall Street of the Far East” has reappeared. On the opposite shore of the Huangpu River in Pudong stands a cluster of modern skyscrapers that represent China’s new era of prosperity, conveying a sense of vigor, majesty, and luxury. After your stroll along the Bund, you will spend an hour enjoying Shanghai’s bright and colorful night scenery as you cruise along the Huangpu River in a tourist boat. 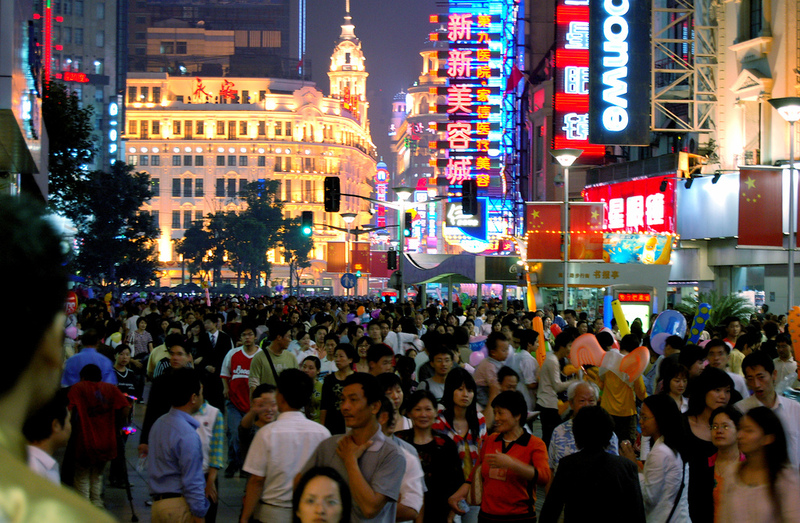 Later, you will walk among a sea of people on Nanjing Road, Shanghai’s famed shopping district. After breakfast, you will head to Old Town (also known as Old Street) to tour Yuyuan Gardens and the Temple of the Town Gods Shopping Center. Here you will find goods of every description, including artworks, jewelry, clothes, snacks, souvenirs, toys, and special folk handicrafts. After lunch you will visit the Shanghai Museum, whose artworks and artifacts are appreciated both within China and internationally. In the evening you will enjoy a mesmerizing performance by a Shanghai-based troupe of acrobats. 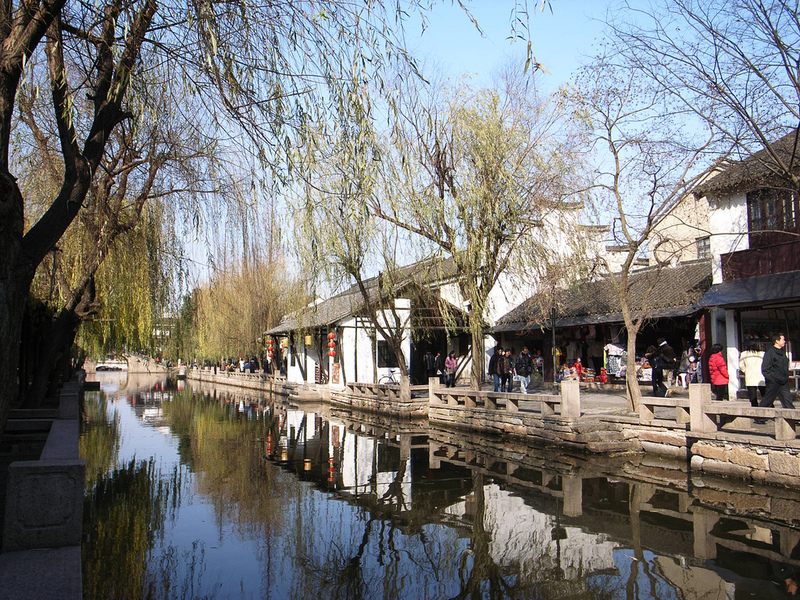 Today, after breakfast, you will visit Zhouzhuang, a famous “water village” built around a series of canals, with buildings dating back to the Ming and Qing Dynasties. Like flipping through a series of well-preserved old photos, walking through Zhouzhuang will give you an intense feeling of nostalgia. You will also tour the village via a traditional gondola-like boat and savor the poetic atmosphere of life along the canals. Afterward, you will proceed to Suzhou to visit another place rich with poetic atmosphere: Cold Mountain Temple (also called Hanshan Temple). 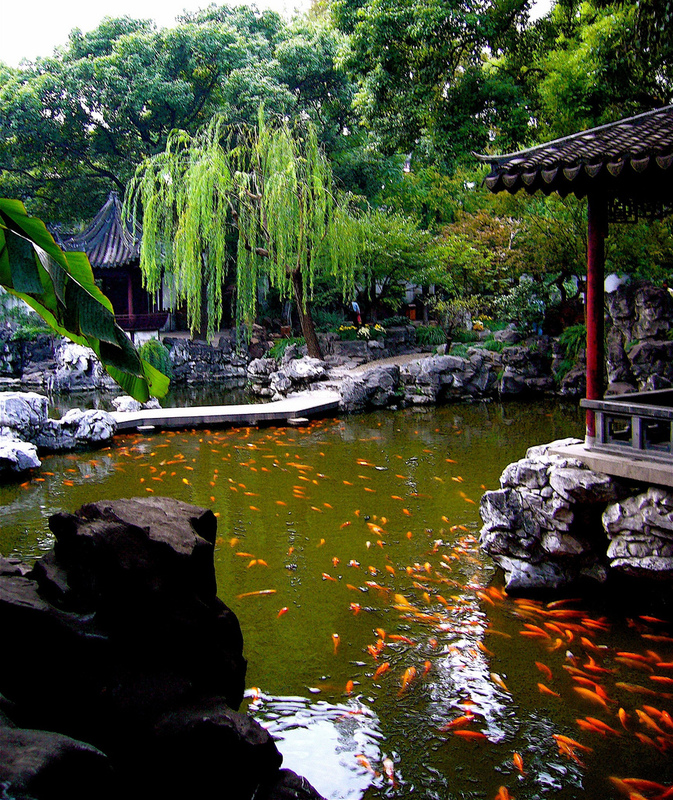 Then you will tour the Humble Administrator’s Garden, one of the most famous of Suzhou’s traditional gardens and a UNESCO World Heritage Site. Finally, as evening approaches, you will have some time to relax at Shantang Street, an old-style street lined with traditional houses and featuring a picturesque canal. There you can enjoy a boat ride on the canal and take in a distant view of Tiger Hill, with its famous leaning tower. 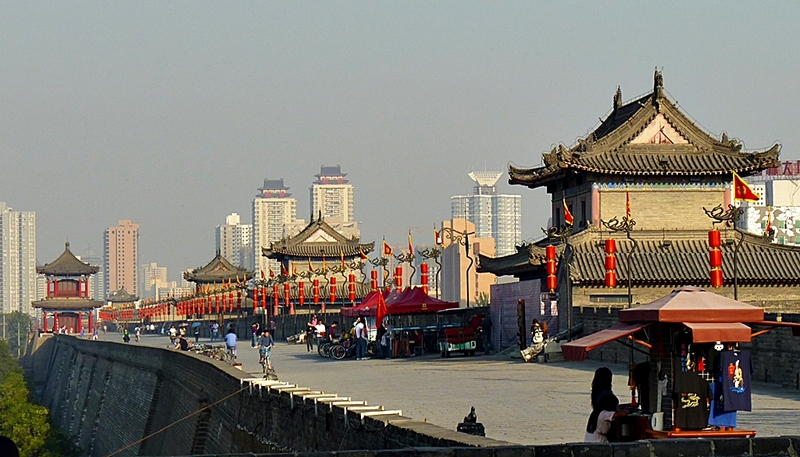 After breakfast, you will proceed to the prosperous city of Wuxi. 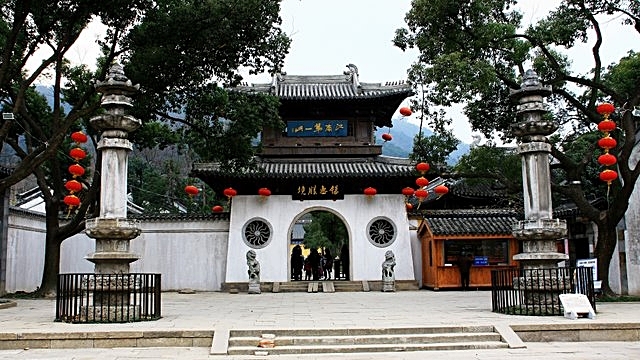 There you will tour Xihui Park, the location of the Hui Mountain Spring, traditionally considered the “second best spring in the world.” Xihui Park offers a distinctive synthesis of serene mountain forest scenes, cultural relics and attractions, and leisure activities in one expansive park. At the summit of Xihui Park’s West Hill stands the iconic Dragon Light Pagoda, a seven-story tower that affords a magnificent view of the park, the city, and nearby Lake Tai. For lunch you will have authentic Wuxi spareribs. Afterward you will visit Three Kingdoms City, a re-creation of a Three Kingdoms-era town featuring architecture, costumes, and performances from the 3rd century A.D. Then you will take a boat tour of Lake Tai, which is the most iconic symbol of Wuxi and is also famous for its pearls. 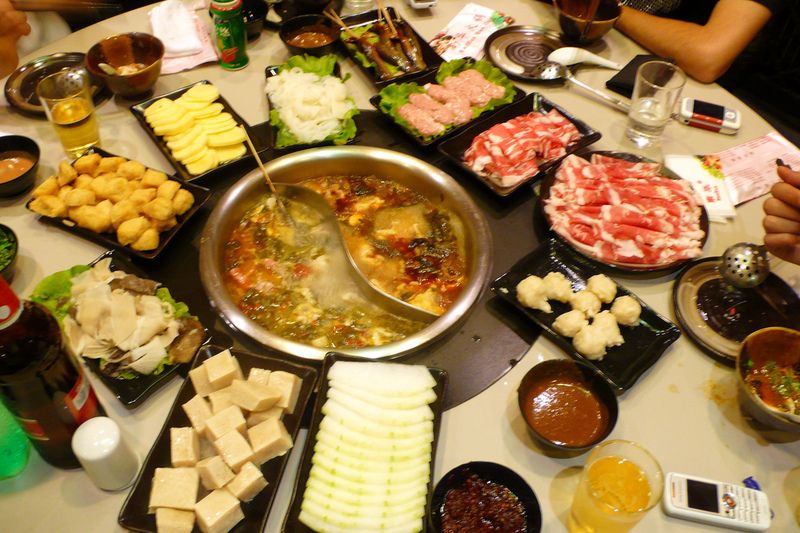 Finally, you will head to Hangzhou, where you will enjoy a dinner featuring Hangzhou-style “red clay pot” cuisine. In the morning you will tour Lingyin Temple, which according to legend was originally built by a Buddhist monk from India. 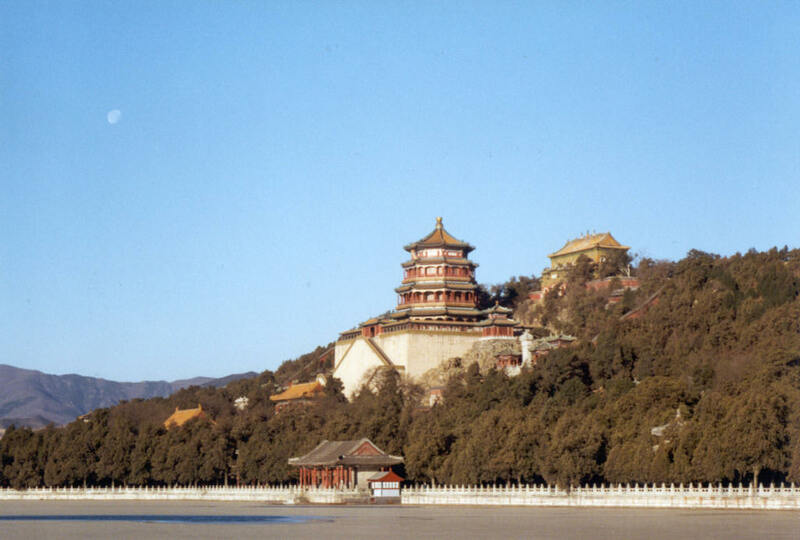 The legend also says that Feilai Peak (“Peak Flying from Afar”), just across from the temple, was transported through the air to the site directly from India. Next you will visit the opulent Residence of Hu Xueyan. Built with an enormous sum of money by a 19th-century pharmaceutical magnate, it has been called “China’s Number One Mansion.” The iconic West Lake is Hangzhou’s most famous attraction. We have made special arrangements for you to take a relaxing boat tour to enjoy the scenery of West Lake, which is bounded on one side by a modern downtown area and on the other sides by the natural beauty of Hangzhou’s hills. This scenery is one of the main reasons for the Chinese expression “Up above, there’s Heaven; down here, there’s Suzhou and Hangzhou.” We have also set aside plenty of time for you to walk along the shore of West Lake and take in its many famous sights, such as Red Carp Pond and Liulang Wenying Park. 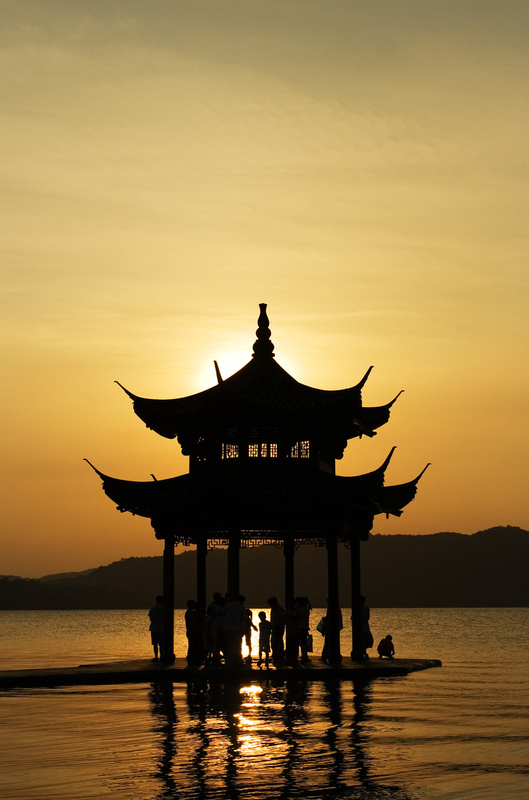 Special Arrangements: We have arranged for you to stay two nights in Hangzhou to ensure that you have plenty of time to see its most iconic scenery and experience what this cultured city has to offer. Today marks the end of our itinerary, as you head back to Shanghai on our tour bus after a full night’s sleep. After lunch you will have a free afternoon and evening to indulge in shopping or any other activities. Each member of the group can decide where to eat dinner, and you will have plenty of leisure time to spend the last night of the trip doing whatever you’d like. If you’re not sure where you’d like to go or what you’d like to eat, your tour guide will be happy to make some recommendations. Note: In order to allow tour participants the freedom to choose where to eat in this culinary capital, dinner is not included on today’s itinerary. Today you will say farewell to Shanghai and return home. First, you will take an exhilarating ride on the Shanghai Maglev Train, the world’s only commercial high-speed maglev (magnetic levitation) train. The western end of the line leaves from Longyang Road Station on Shanghai’s No. 2 subway line, and its eastern end is at Pudong International Airport; its total length is 30 kilometers. With a maximum speed of 431 kilometers per hour, the train takes only 7 minutes and 20 seconds to transport you the entire length of the track to the airport, where you will take a flight back to the United States. For 2015 prices and departure dates, please contact us.